1. Institutional Property Advisors announced the sale of The Davenport, a 442-unit multifamily asset in Tempe, for $55.5M. IPA’s Steve Gebing and Cliff David represented the seller, an affiliate of Abacus Capital Group and procured the buyer, Tides Equities. 2. Cushman & Wakefield announced Bow River Capital Partners purchased Grand Central Tower — a 20-story, 285KSF, transit-oriented office tower in Phoenix’s Central Corridor— for $14.65M. Steve Lindley, Eric Wichterman, Bob Buckley, Tracy Cartledge and Mike Coover of Cushman & Wakefield’s Phoenix office negotiated the transaction on behalf of the seller, Fenway Capital Advisors. 3. CBRE has completed the $14.6M sale of Desert Canyon 200, a three-story, multi-tenant Class A office building at 2421 Peoria Ave. in Phoenix. The 99KSF property sits on 6.74 acres in the 22-acre, three-building Desert Canyon Corporate Campus. Barry Gabel and Chris Marchildon with CBRE Capital Markets, Institutional Properties in Phoenix, represented the seller, G2 Capital. The buyer was DL Properties, represented by Rich Heine with Southwest Investment Properties. 4. Westport Peoria Phoenix Self Storage LLC purchased two U.S. Storage Centers in Phoenix for $9.34M.The properties, located at 19315 N. 83rd Ave and 2331 W. Indian School Rd, were sold by Orsett Storage LLC. The two centers have a total of 943 units and are a combined 92.8KSF. Cushman & Wakefield’s Paul Boyle and Rick Danis represented both parties in the deal. 5. Jared Lively of Rein & Grossoehme represented Jabon Investments on the $7M purchase of the 24KSF retail property Chandler Village Shops in Chandler. The sellers were Chandler in the Spotlight, LLC and Chandler Shops, LLC. Chad Tiedeman and John Schweikert of Phoenix Commercial Advisors represented the seller. 6. The 26.6KSF Country Inn & Suites at Tucson Airport sold for $5.15M to Progressive Hospitality, LLC. Ryan Sarbinoff with Marcus & Millichap in Phoenix and Aseem Tandon with Marcus & Millichap in Ontario, California handled the transaction for the seller, The Sethi Family Trust. 7. 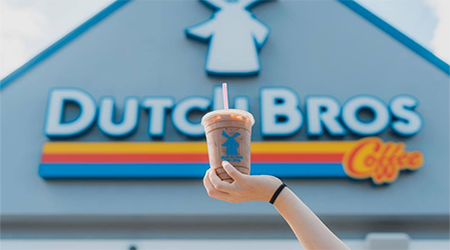 CBRE has completed the $2.47M sale of a single-tenant property leased to Dutch Bros Coffee, at 120 South Wilmot Road in Tucson. Joseph R. Compagno with CBRE’s Phoenix office represented the seller, Cole Valley Partners. Sunny Gill of Habitat Investment Advisors represented the buyer, LD Enterprises, LLC. 8. Commercial Properties, Inc./CORFAC International announced the sale of 9015 W. Union Hills in Peoria. Comprised of 8.8KSF of retail and office spaces, the property sold for $2M. CPI’s Tom Semancik and Kyle Davis represented the seller, Peoria Retail Partners, LLC. The buyer was represented by Century 21 Discovery.